Don’t reinvent the wheel! MeetGreen has distilled hundreds of hours of experience and knowledge into the MeetGreen® Sustainable Event Kit. Designed to break down the planning process into manageable steps, the Kit is filled with tested, useful forms, checklists, best practice guidelines and contract language to use with your vendors. With these resources at your fingertips, you’ll save time and gain confidence to ask the right questions and assess the information received. Covering the key areas of event planning, these checklists help organizers effectively assess their sustainability practices. Contract language that addresses your sustainability expectations is critical to success. Our contract language has been used by multiple clients and signed by dozens of suppliers (these are offered as samples and should be reviewed and approved by legal counsel). Asking the right questions is crucial to collecting useful data. Our comprehensive surveys have what you’ll need to measure the impact of your event and follow up with vendor commitments. What if an attendee packs one less pair of shoes or eats chicken instead of beef? ”If One Attendee…” calculates the total impact based on the number of attendees the meeting planner enters. Inspirational and educational all in one, the tool is filled with great ideas for improving green meetings and supplying you with ready-made fun facts. 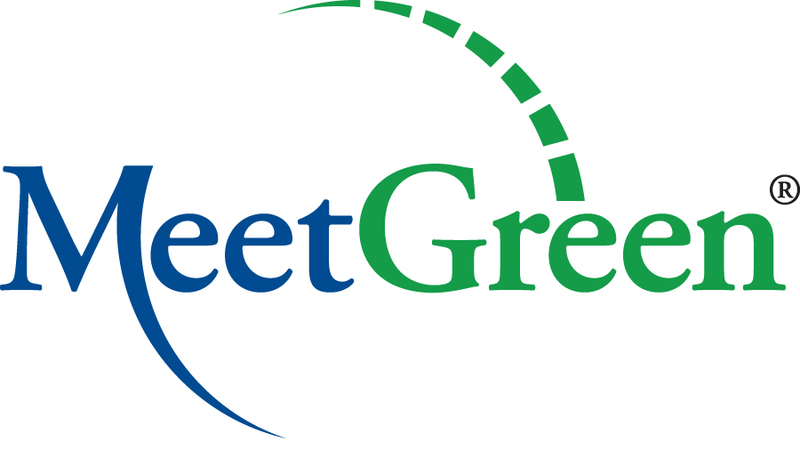 The MeetGreen® Sustainable Event Kit includes easy-to-use APEX/ASTM Standards* checklists which make assessing and tracking your compliance much simpler. Need to brush up on the latest developments in sustainable events? As a bonus, we’ve included additional educational materials, such as our latest infographics, to give you a competitive edge and inspire you to take your green event to the next level. *We recommend you consider purchasing the APEX/ASTM Standards in their entirety to see the full extent of the standard. You can go to www.astm.org to do so. APEX/ASTM Standards materials produced under permission of ASTM International. 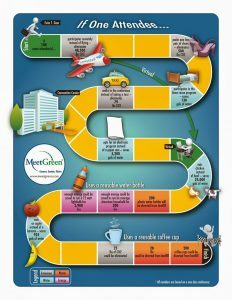 What better way to understand the value of the MeetGreen Sustainable Event Kit than to experience it for yourself? We will be giving away free samples of the Sustainable Event Kit on the MeetGreen website on a monthly basis. Each month, you will find a new sample from the Kit. Note: The sample is provided in PDF format, whereas the full kit includes easy to use Word and Excel files. Food & Beverage This month, we are featuring selections from the food and beverage section of the Kit. This is just a small taste of what is included in the full Kit. In this sample are the best practices, vendor survey and contract language for the Food and Beverage section of the Kit. Start using these documents today to make your sustainable event planning easier. Don’t reinvent the wheel! Instead of spending your precious time figuring out what to do, tap into the resources we’ve provided. Greening your events and measuring the results will be easier than ever!